It was a Celebration of Authenticity with Music, Arts and Denim! 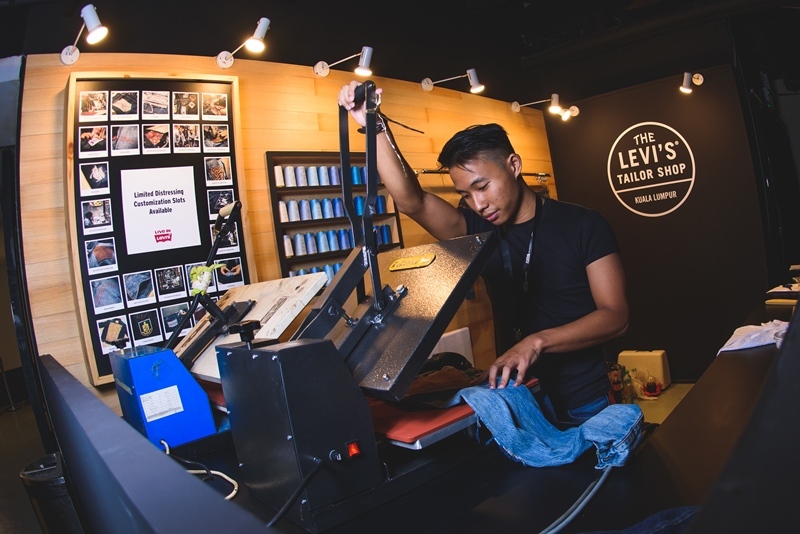 We were here at Levi’s® We Are Original celebration party at KL LIVE, Kuala Lumpur. The party started at exactly 5:01pm with a myriad of activities curated by local personalities such as live mural paintings by graffiti artist, Cloakwork and art house, Minut Init, mini Tailor Shop for customization services as well as a preview of Live In Levi’s® film featuring JC Chee and Liyana Fizi. Levi’s® Brand marks the pinnacle of the Levi’s® We Are Original campaign with a star-studded/ an epic celebration, honoring originality and authenticity. Local personalities from various fields, denim heads as well as Levi’s® Malaysia staff- from legendary rock star Amy Search; Asia’s Next Top Model Season 2 winner, Sheena Liam; top male singer Noh Salleh of HUJAN; national gymnast, Farah Ann; top blogger, Jane Chuck; acoustic princess Liyana Fizi to dynamic duo, Jin Lim and Reuben Kang of JinnyBoy TV; renowned photographer, Chuan Looi; budding actor JC Chee; designer, Hatta Dolmat; and jazz songstress, Poova, to name a few - join forces to bring the campaign to life with their unique jeans stories. The much-anticipated performance by soul songstress, Najwa Mahiaddin and rapper SonaOne where they both serenaded guests with respective hit songs. The evening ends on a high note with eclectic beats from DJ duo, BATE. Here's the Customization Station during the event, we can distress our jeans or denim too. The followed by a fashion performance follows suit, highlighting four new and exciting ranges from Levi’s® Brand, which are steeped in functionality and comfort. COMMUTER Perfect Tees, cyclist-friendly version of the brand’s mainline Perfect Tees are now infused with Thermoregulating CoolMax® base layers to keep wearers dry, cool and better hydrated. Levi’s® Brand also collaborated with Kyler Martz, a Seattle-based graphic designer and tattoo artist in designing graphics for the tees, exploring themes of the outdoors and natural elements, translating his typical American Traditional tattoo flash style into a more modern design aesthetic. Commuter tops retail from RM99; Commuter bottoms retail from RM329. This range of jeans is designed with strength and stability in mind. With the blend of cotton, polyester and Elastane, the soft material prevents static and pilling while imparting stretch-ability that are great in delivering the necessary comfort-stretch efficiency. Holding up better in repeated washing due to its shape retention benefits, these jeans prevent knee blowouts, improves color luster and stay new for a longer period of time. Perfect for those who are constantly in motion. Retails from RM239. Designed to smooth and enhance, the Lot 300 series continues to be the ultimate shaping jean that help slim the tummy, lift the seat and lengthen the legs! The combination of high recovery fabrics and advanced tummy-slimming technology holds comfortably, in all the right places. These mid-rise jeans are available in two premium fabrics such as Orta Super Stretch Bi-Stretch and Twin Dragon. Retailing from RM199, the jeans are available in coffee-tints, blue-blacks and authentic-inspired finishes. COMMUTER, STRETCH and COOL will be available nationwide from May 2016 onwards. WOMEN’S SHAPING is available from June onwards. The celebration of Levi’s® We Are Original has brought together a community of diverse individuals who live in the moment, constantly inspiring others to be true to themselves and sharing what it means to wear denim that is uniquely theirs. Levi jeans are original and they're the first one to market internationally. Actually, Levi jeans lasts longer than any brand, that's why majority prefers it. You can't really deny that Levi's is one of the leading brands when it comes to denim/jeans. They have really awesome products that caters to the younger crowd. Levi's is really a premium brand of denim clothing. They really need to promote them in the most innovative ways to gain media attention in these days when there are so many more competitors. I'll remember my first denim pants is Levis 501...and now my eldest daughter is using it...still good to wear. Jeans are timeless and so is the Levi's brand. It's been the hottest jeans for as long as I can remember. I hope they have big sizes because my pants don't fit anymore. I'd like to buy one if I ever get the chance. 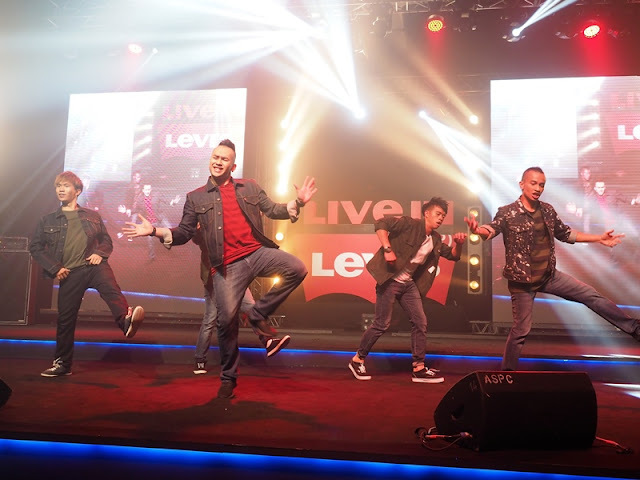 Levi's never goes out of style even at launching at event. My family is an avid fan of the brand and glad that they have released new lines that surely people will definitely wait for! I remember I used to own a pair of Levi's once. They are really comfy and would suit almost all occasions. Levi's is indeed the most comfortable pair of jeans. Esp for women it curves well with the body and doesn't restrict movement much. Levi's is my favorite since many years. When it comes to jeans, it's Levi's for me. Levi's is such a classic. You can't go wrong with a classic pair.